Ever since The Big Reveal on Christmas morning, our Disney trip has become more of a reality for me. I'm already daydreaming about it a lot and have been tidying up my binder with all of the tips from YOU GUYS! I just got my Disney PhotoPass registration card, and I suppose I'll go ahead and register online so that I have the option to use it once I get there. Those of you who used this option ... did you take your own pictures, too, or did you just rely on them to get good ones? And they only take pictures of you with the characters, right? Not other random pictures around the park?I'm trying to decide whether to take my little point-and-shoot or my nice digital into the parks ... we'll have a stroller and a backpack to carry them in. I'm just not sure whether I'll really NEED the big one or if the little one will do. Other than the characters, what did you take pictures of that you ended up LOVING when you got home? And what did you miss that you wish you'd gotten? Next week: SOUVENIRS & STROLLERS. Photopass is great because it allows you to have photos of your entire party. They take photos with characters and also at various landmarks around the parks (the castle, the ball, Friends statue, etc.) However, you definitely will want to take your own camera also. You'll want to take some pictures of your kids reactions to some of the rides and seeing the characters before the photopass people are ready. Also, the photopass people are not at the character dining experiences so you'll need to take pictures there if you are doing any. As far as which camera to take, I say it depends on how good your point and shoot is. Does it work well in different lighting situations? Also, think about when you go to scrapbook if you'll be happy with the quality of pictures with your smaller cameral versus your larger camera. You don't want to regret not having good pictures. When we went last fall, I had just gotten my new DSLR. I didn't bother with taking a bag, I just carried it around my neck all the time. I know your dad takes pics too, so you could alternate carrying it with him. I'm sure I took way too many pictures and actually did a 80+ page album just of that trip, but I'll always be able to look back and remember all the details in the future. Also, you'll probably want to take pics of some of the parades, shows, and fireworks. Try to catch the kids riding Dumbo and some of the other outdoor attractions. You'll be surprised how often something random will happen that you just need a picture of. Photo pass works every where--even those great shots with big landmarks in the background--we got one with the Epcot ball in the back, big tree in the Animal Kingdom, etc. They are incredibly expensive--like $14 for a 5x7? So we actually didn't end up purchasing any. We did well enough with our own pictures. I'm also a fan of finding other DSLR users (and there are going to be TONS there) and having them help you take the family portraits (and then do the same for them). I would go for your big camera. There are so many places where you can't use flash that you'll want a good focus ability and being able to mess with your ISO. I got lots of good shots during some of the shows where it was specifically mentioned several times "no flash photography" and I was much more confident with my big camera than I would have been with the little one. This is EXACTLY the kind of stuff I need to know! Thank you all so much for your input. i love photopass! Definitely take your own camera - as photopass people are only limitedly at character dining (usually just as you go in, if at all). But you can get lots of shots with them around all the parks. Use them as much as possible. 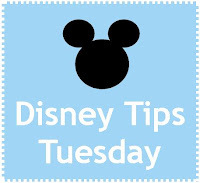 Also - there are a bunch of places they can do cool things inside-the camera affects - like add a tiny tinkerbell to your picture (around the castle in Magic Kingdom), or have your kids fight with Captain Hook (near Pirates of the Caribbean). Feel free to ask them about it- those shots came out really cute! Photopass is so expensive! But register and have them take many pix--just in case. They might get something that you missed. I'd go with your big camera. I took just as many pix of my kids expressions (in awe). You don't want to miss that. We had our kids take throw away cameras; if they got lost, oh well. But it was fun to see Disney from their eyes. Photopass is nice but VERY expensive to get pictures. The Disney employees will take family/group pictures for you with your camera anytime you ask (including at character meet & greets). OK, I'm taking my big camera AND my little camera! I've decided I'll attach my nice zoom lens to my big camera and use that when I need a nice zoom (and I can also back up from my subjects a little more and use that lens for whatever, anyway). I'll have the smaller camera for wider shots and maybe to take into areas I'd be afraid to carry my DSLR on, like water rides and stuff. THANKS again for all of your input! You guys are the best.